I cannot tell a lie. Yesterday morning we were walking the dog to the grocery store to pick up cream for my tea when we saw some guys cutting down a tree. I admire their gumption--it was cold as heck out, and to be hanging from a rope way up high, with a chainsaw? Yipes. Then I got to the store and saw cherry pies on sale. It wasn't until after I bought the pie that I realized it was for President's Day. So here's a President's day muffin recipe for you, using cherries and oranges. These muffins are perky, if a muffin can be called that. The flavor is bright and brightens my morning. My kids eat them for breakfast and after school snacks, so perhaps they brighten the whole day! Sunny citrus in action. I adapted this recipe from the most excellent Muffins: A Cookbook by Joan Bidinosti and Marilyn Wearing. I made these before the Band Fruit Fundraiser oranges arrived. Had I been swamped with fresh oranges, I'd substitute a blended navel orange for the juice. The original recipe called for raisins, but I've got a lot of dried cherries so I snipped them in small pieces and used those instead. The cherries forgot to join the party when this photo was taken. Stir oats and cherries with orange juice and boiling water in a large bowl. Add butter on top. Let sit for 30 minutes or up to 2 hours on the counter. When you're ready to bake, preheat the oven to 400 degrees Fahrenheit and spray a regular 12 cup muffin tin or line with muffin papers. 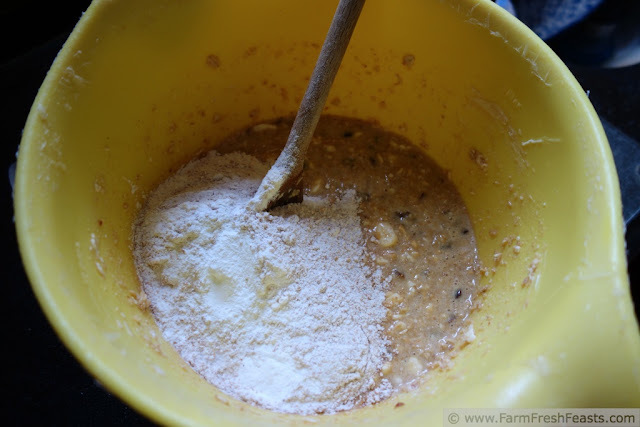 Whisk stir sugars, egg, and vanilla into oat mixture. Dump dry ingredients on top. Whisk stir until just combined. Fill muffin cups (I use a scoop**) and bake 15-18 minutes. Cool 5 minutes in the pan, then flip onto a rack to finish cooling. These freeze well. This post is linked up with the Wednesday Fresh Foods Link Up at Gastronomical Sovereignty, Taste and Tell Thursday, the Farm Girl Blog Fest at Let This Mind Be In You, the Creative Homeacre Blog Hop at Self Sufficient Home Acre, and Food on Friday (twice). Yum! I bet that is a good combination. It was so fresh and zingy. Thanks! I'm about to go up and change it, but my mom would like to point out that you Do. Not. Whisk. Muffins. And she's right--even though I wrote the words 'whisk', in fact in the photos I used a wooden spoon. I love all of your great muffin combinations. this one especially. Thanks for shaing Kirsten. I thought this one would go over better than Beet and Horseradish! I'm pretty sure that cooks through the ages have invented new dishes merely because they were out of whatever ingredient they originally wanted to use. And it keeps on going . . . I was thinking it was kind dippy, so I'm glad you're not smiling in a 'well that sounds dippy' kind of a way. I'll sure I'll be sad when the giant vat of dried cherries is gone, but for now . . . Yes, though, the muffins were delish. I absolutely think a breakfast muffin can be perky. In fact, I find your describing incredible appealing so I think I'll have to make these. They sound delightful. Thanks--here I think I'm all dippy and instead it sounds good? Who knew. 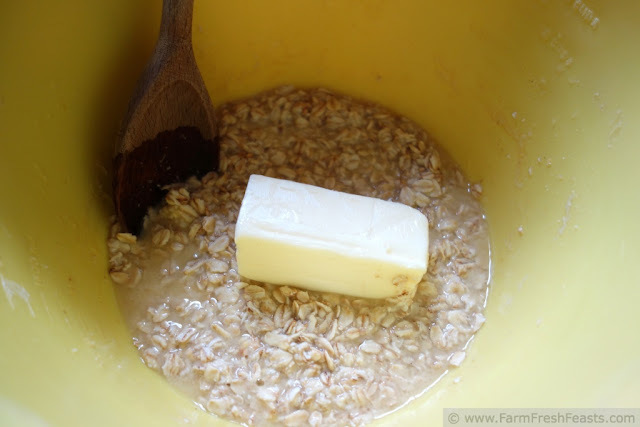 I love muffins with oatmeal! It gives them a special substance that is so great. 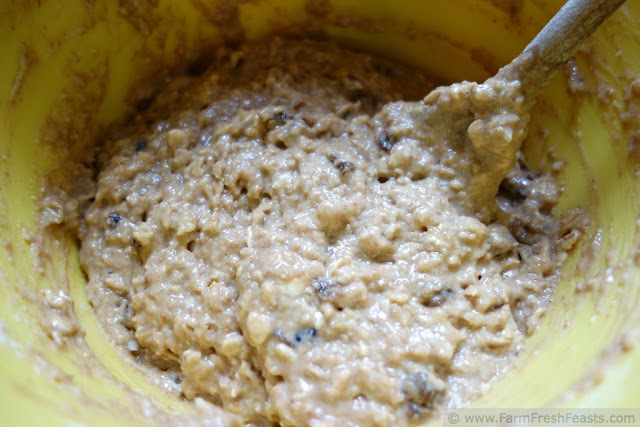 I agree--between my spouse's daily bowl of oatmeal and my muffin making, we go through a lot of rolled oats here. I think orange and cherry is a great combination. Agreed. Of course I think chocolate and cherry, and salmon and orange are good, too. Probably not chocolate and salmon, though. Cherry and orange is a favorite flavor combo - so good! I like the white ww flour in these too - I have been baking with that a lot lately. I love that flour too! I picked up some Ultragrain at Costco earlier this month, so between the white whole wheat and the ultragrain I'm having a blast baking. The moment I open the pantry those cherries start up. They are nearly as bad as the guinea pigs leading up to their 6 pm feeding time. Ooh, I just love the sound of that flavor combination! I have a weird aversion to raisins baked in things, so I'd absolutely go with the dried cherries instead, or maybe even cranberries. Yum! I've got 2 bags of fresh cranberries in the freezer (ok, I guess they are now frozen cranberries), so my brain is churning over savory ideas for them, but I hear ya. I don't like raisins in hot liquid dishes, where they get all plump . . . icky. Did you know that you can't type ic-k without it turning to ice? 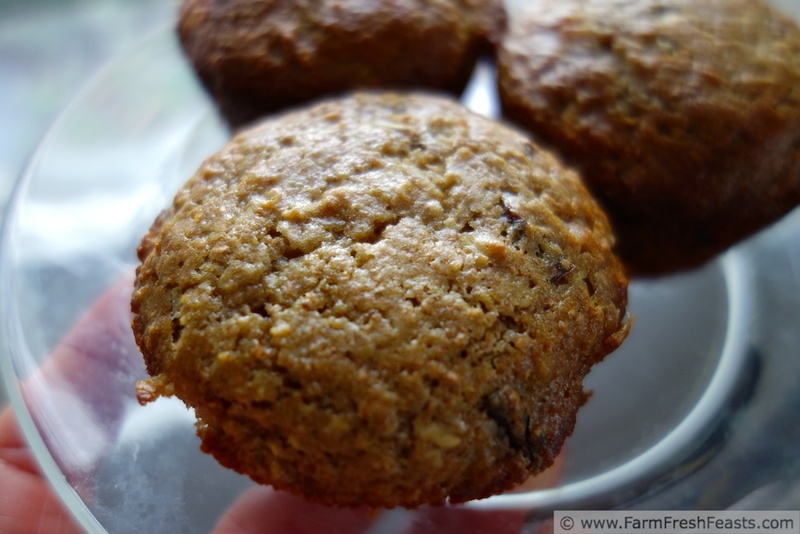 I love oatmeal muffins and this version looks SO good. YUM! Just a tip--these muffins freeze well, so if you're getting busy in a few months ;) you can always pull them out and enjoy a quick snack. I usually include a batch of muffins when I'm bringing food to a family with a new addition. 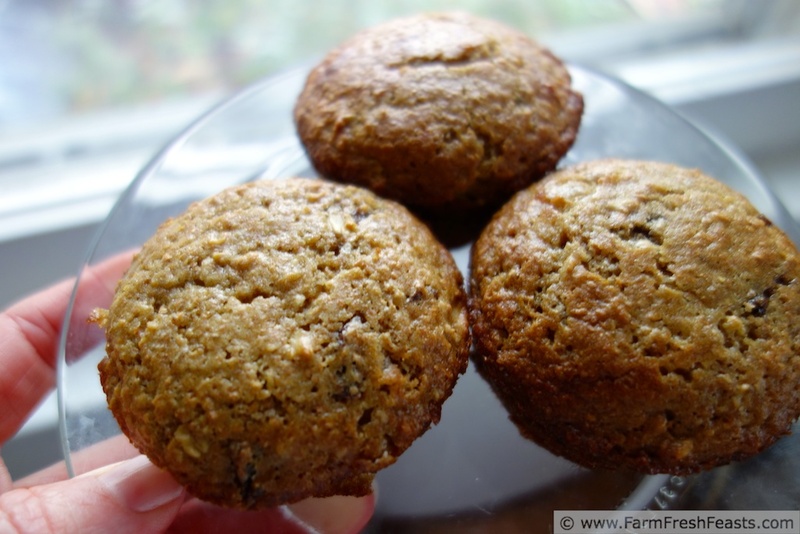 I love cherries in baked goods - I bet these muffins were awesome with the orange too! The kids and I thought so too.